Here’s what we know: Childish Gambino gave a performance so good that portable showers spontaneously burst into flame. Ariana Grande is set to perform with NSYNC. Solange won’t be there, but the Beyoncé stage will. 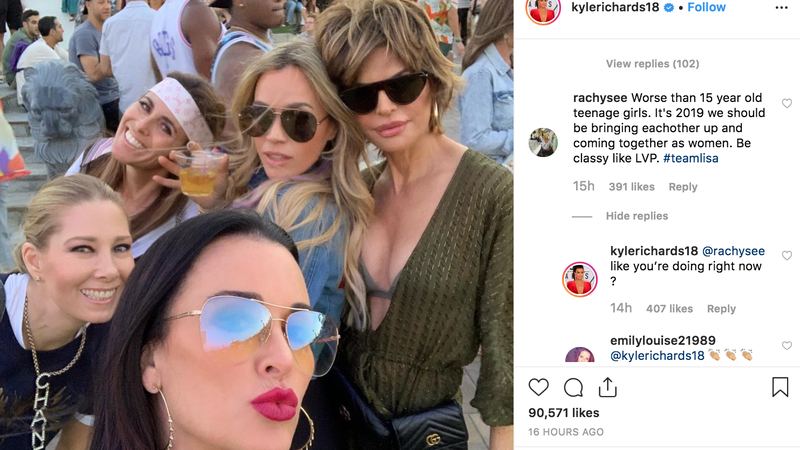 Also, Kyle Richards came to wear aviators and clap back. She’s getting what she came for. Was your week more or less stressful than attempting to use a porta potty while wearing a romper?